Foreword by Lissa Rankin, M.D. From the author of the life-changing book Outrageous Openness: Letting the Divine Take the Lead comes a transformational follow-up book featuring a thoughtful collection of prayers and stories to help you actively invite the Divine into your life. 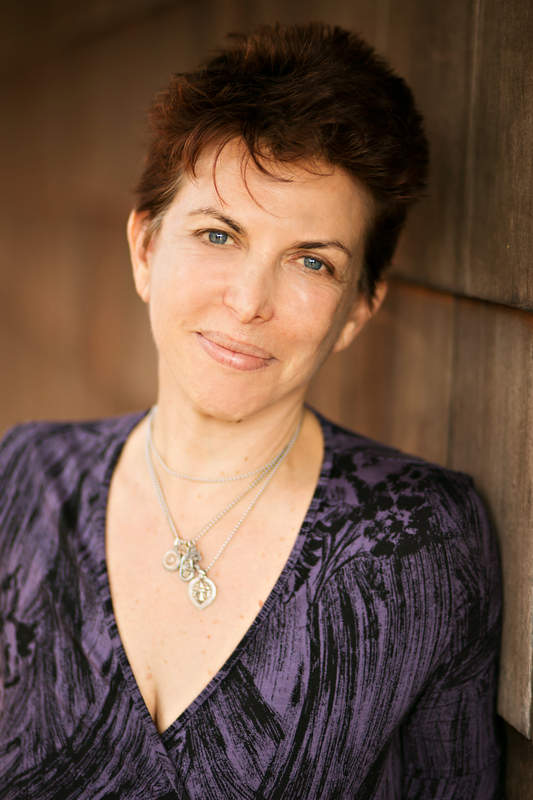 Tosha Silver, with her characteristic wit, charm, and mix of passion and humor, shows you how to invite the Divine into your life to create change and transform from the inside out. 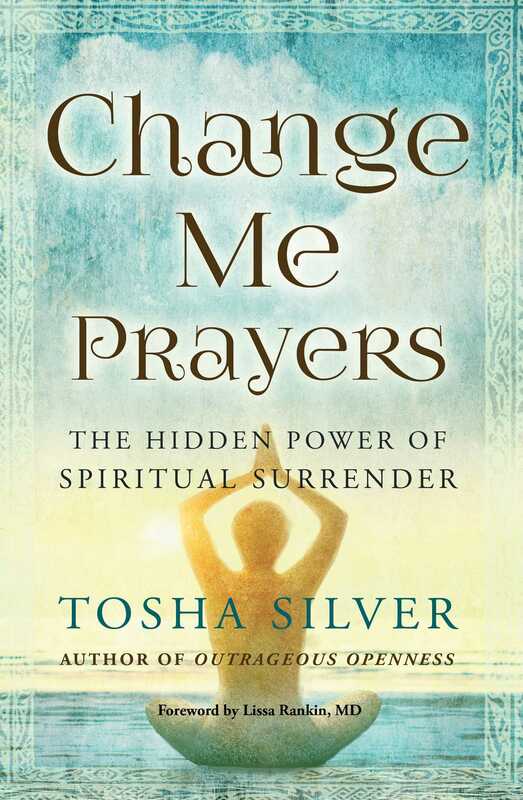 Covering a variety of topics—from work to finances to self-worth—Change Me Prayers reveals how to truly surrender to a Divine plan in the most joyous and uplifting way. At its heart, this book is a spiritual guide for anyone open to living in union with Love, even in times of difficulty or crisis, and includes a convenient “Change Me Prayers Quick Guide.” Tosha proves to be a profound, unique, and often hilarious guide to awakening. May the Divine permeate every part of your life! If you’ve ever read my work, you know by now that I consider almost nothing random. If I’m cradling a question in my heart, to be shown the right direction I pay intense attention to the answers that come, no matter what delivery service God may use. License plates, billboards, songs on the radio, comments from strangers, all become grist for my own spiritual mill. I nodded and thanked him, though I had no idea what the hell he was talking about. I made a note to check when I got home, but if you’re a cook, you may already know. I discovered mise en place is a French phrase for prepping all the ingredients for a meal: getting everything washed, chopped, and in order. Some people would even include cleaning and readying the kitchen. That way, when it’s time, you can cook with abandon. Well, I couldn’t think of a better message. I could feel in my bones that a big wave of new life was lurking right around the bend. So get ready! Clean out the closets, finish up loose ends, get rid of what needs to go. Create a vacuum for the New to fill. Release dead weight, old destructive habits, exhausting relationships. Pick a few items off the procrastination list and whisk them away. And if the Divine wants to make a delicious meal out of you, well, you’ll be prepared. Change me Divine Beloved into One who easily releases all that’s ready to go, making room for what wants to come. May I courageously release all that is outgrown and stagnant, preparing for the new. Let me move in harmony with Your natural cycles in every way. Tosha Silver grew up thinking one day she would be a rabbi, a lawyer, or a weathergirl. But fate had other ideas. She graduated from Yale with a degree in English Literature but along the way fell madly in love with metaphysics and yogic philosophy. For the last 30 years she has taught many ways to align with the inner Divine. This book is adapted from her popular column at Examiner.com, a top 100 website that reaches over 37 million unique visitors a month. Tosha lives near San Francisco. Please visit ToshaSilver.com for more information. – Robert Holden, PhD, editor of Holy Shift!